When I was 15 years old, I had what any level-headed person would call a stalker. Let’s just call him “Mike”. He was at least ten years older than me and spotted me one day on my afternoon walk home from the bus stop. What I didn’t know about his “harmless” accompaniment on my walk home was that I would struggle to fend off his unwanted advanced for months before he finally got the point. In this case, he obliged. He offered to walk me home to make sure I was “safe.” It was his way of finding out where I lived. I declined him. About two blocks from my house, I left him. Or, at least I thought I did. I sped up my walking speed to increase the distance between us being careful not to look back so as not to give him the impression I was interested in him. I turned the corner to my street then swiftly looked back to ensure he hadn’t followed me there. I ducked behind an old pizza shop for a bit to be sure he didn’t appear after a few moments. After a few minutes, I exited the pizza shop alley and went to my home. I thought I was done with him. I was wrong. About two weeks later, I was walking back up the main street where I caught the bus to school, church, and just about everywhere else. Then I heard “Hey! Hey girl!” I turned. It was “Mike”. Again. He wanted to walk me to the bus stop. I kept my head down as he asked me about school. I sped up my walking speed and looked around desperately for someone I knew. There was no one. He waited with me at the bus stop attempting to draw me into conversation. When the bus arrived, he got on. He said he was going the same direction. He sat near me. I moved away. I later learned that he was trying to map my comings and goings. He was profiling me. I got off 3 stops before my church – my actual destination. I didn’t want him knowing my whereabouts. He stayed on the bus. Again, I thought I was done with him. Again, I was wrong. A few weeks later, as I was walking to the nail shop, I heard the familiar cat call. Afraid to turn around and see him again, I just kept my head down and sped up my pace. He jogged to catch up with me and asked, “You getting your nails done today?” I had never discussed my nail shop with him. It wasn’t near my house. I felt violated. I felt afraid. He, again, forced me to walk “with” him. He walked me to the nail shop and asked me if I wanted him to wait with me. I told him I was fine. He answered, “Yes, you are. That’s why I don’t understand why your boyfriend lets you walk around by yourself like this.” I left him again. When I left the nail shop and hour later, he was sitting at the bus stop. I saw him from a distance, walked the other way, and took an alternative (longer) route home. The last time he spoke to me was about a month later. I was home by myself. I had changed my bus schedule a bit to avoid running into him on my walk home from school. My doorbell rang. I figured it was the mail person or perhaps a Jehovah’s Witness. I opened the door leaving the screen locked. It was “Mike”. He was grinning. I was not. I asked him what he was doing at my house and why he had followed me there. He said he was just “checking” on me to make sure I was okay. He hadn’t seen me at the bus stop in a while. He asked to come in. “Thank you. I’m okay.” I closed the door. I decided that this was bigger than avoiding him at this point. He wasn’t getting the point. So, I told my older brother about what had been happening. He said that he had actually gone to high school with “Mike” and that he would “take care of it for me.” “Mike” never bothered me again. I was lucky. It is important to say that “Mike” was not an unattractive man. There is folklore that only undesirable men do this to women and girls, that all predators are ugly and incapable of finding someone via healthy means. It isn’t true. I later found out that “Mike” was living in an apartment building where one of my friends lived with his girlfriend. He wasn’t undesirable. He was a predator. 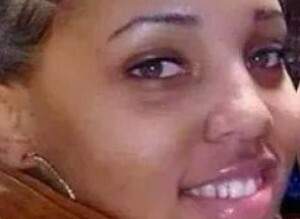 It should also be noted that these interactions are not just “compliments.” Mary Spears, a 27-year-old Detroit woman and mother of three, was killed over the weekend for denying a 38 year old man’s advances. He shot her several times including twice in the head all because she wouldn’t indulge his advances. A Queens woman was slashed in the neck last week when she ignored a street harasser. This aggression is a constant threat that many black women are intimately familiar with. My story ended with no violence (towards me as I am unaware of what my brother and his crew did to get “Mike” to leave me alone). But, my story is not the norm. Many women and girls confront these issues in their daily lives. We try to “ugly up” so that we won’t draw attention. We try to walk with others, especially men, to avoid the advances. We pretend as if we don’t speak English. We talk to people we don’t know to appear as if we have someone with us. We do a lot of things we shouldn’t have to do. We do them because even within our marginalized community, we are afraid for our lives. Within our place of solace, we are terrified of becoming victims. Street harassment is not okay. It isn’t a betrayal of our black communities to speak out about the abuse and harassment we face. In fact, the real betrayal is at the hands of those black and brown men who prey on marginalized women whether they be black, nonbinary, Latina, trans, disabled, queer, or any other marginalized status in our civil society. The betrayal starts there. Yes, we, as black women, can fight for the advancement of policies benefiting black men while still recognizing the harm that street harassment inflicts on us. Yes, we can fight structural racism and police brutality whilst denouncing our ongoing victimhood within our communities. We have to. We can love, but we have to love critically or else we all fail.